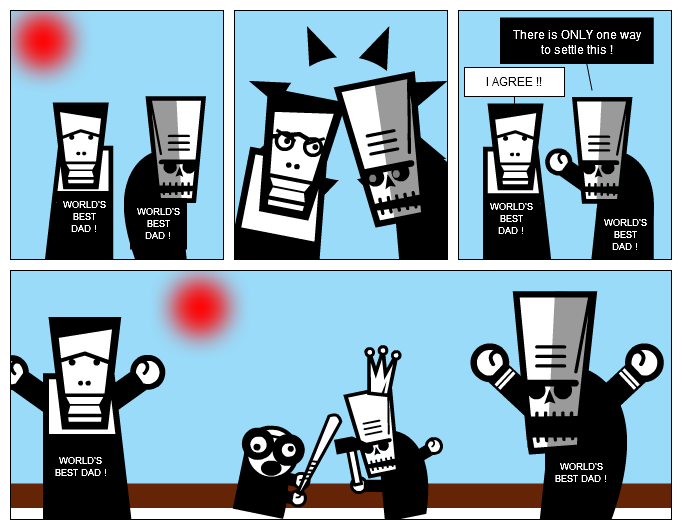 Stripgenerator.com - WORLD'S BEST DAD ! There is ONLY one way to settle this ! "I cannot think of any need in childhood as strong as the need for a father’s protection." - Freud. Zoltar for the win. Deffo. Zoltar put on his captain's jacket for the final frame.